Writing your wedding invitation has never been easier. 1.) Opening Sentence. Who is hosting? Be sure to ask your family their opinion also. I will never forget the day a father-in-law-to-be (is that a word) called me on the phone and said, I can’t believe you didn’t ask the bride-to-be to list my name too. He was very very upset she did not include his name on the invite. So my tip would be to ask your parents and your partner’s parents if they want their names listed. OR just go with the “Together with their parents” to cover all bases. Find many more options for your wedding invitation wording. You can use your first, middle, and last name. If you are listing your parents names then most times you would not list your last name with your first, and middle name. Never use just your first name. Guests may not know exactly who you are. This happened to my mother-in-law once. She had no idea who the person was inviting her. They only listed their first names. Find many more wedding invitation wording ideas on our website. When you order wedding invitations, you will receive a digital proof via email for your approval. We offer 3 proof sets for free. So no need to worry if you change your mind and need to make a change. Beautiful Beach Wedding Invitations! Katherine and David’s sea-worthy design features original seahorses watercolor art, letterpress printing, custom belly band belt, and 3 card layers. Shown in orange metallic cards, guava seahorses, gray letterpress ink, and tiffany-inspired metallic blue. The luxurious wedding invitation is handmade and gorgeous for a destination wedding. Beach wedding invitations don’t have to be boring! We specialize in designing beach wedding invitations and stationery for seaside events. At Mospens Studio, we print all of our letterpress wedding invitations and stationery on our Vintage Heidelberg press. Letterpress printing is one of our most expensive forms of printing. Remember, if you are on a bit of a tighter budget we customize any design for you. We have even created a 1 layer card as a D.I.Y. invite with the seahorses. This design is completely customizable. Elegant Floral Wedding Invitations! Courtney and Scott’s wedding invitations carried out their nautical theme with a custom design featuring original watercolor flowers and anchors artwork, letterpress printing, and a handmade belly band belt. Shown in blue and pink florals, blue letterpress ink, and blue envelope liner. The luxurious handmade wedding invitation is gorgeous for a nautical wedding. 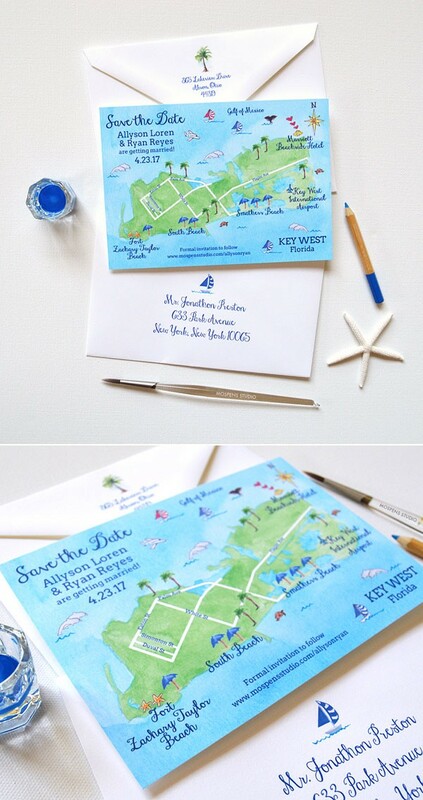 Proof that Nautical Wedding Invitations can indeed be elegant! 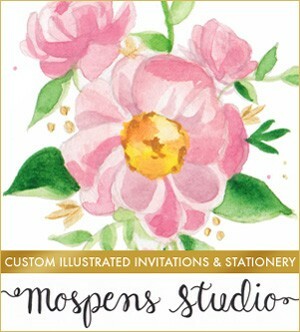 At Mospens Studio we specialize in designing nautical wedding invitations and stationery for beautiful seaside events. We print all of our letterpress wedding invitations and stationery on our Vintage Heidelberg press. Letterpress printing is one of our most expensive forms of printing. If you are on a bit of a tighter budget we customize any design for you. Boho Chic? Yes, please! New arrival in the shop. BOHO FLORAL D.I.Y. 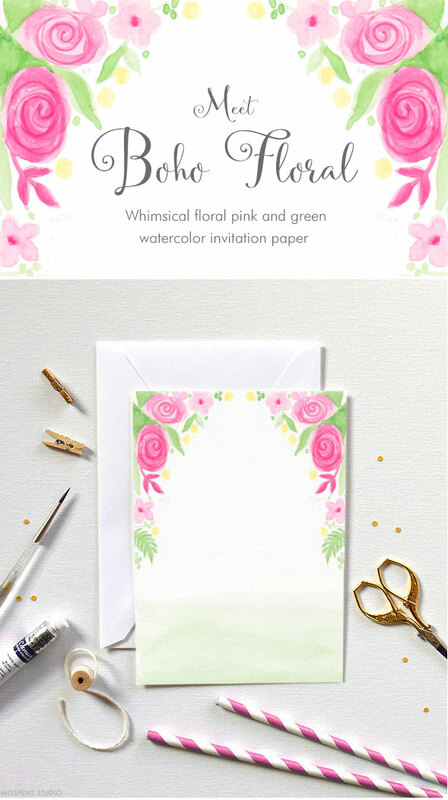 Printable Invitation Paper. Whimsical watercolor flowers with light sage watercolor, so pretty for a bridal shower, wedding, rehearsal dinner or birthday party! D.I.Y. 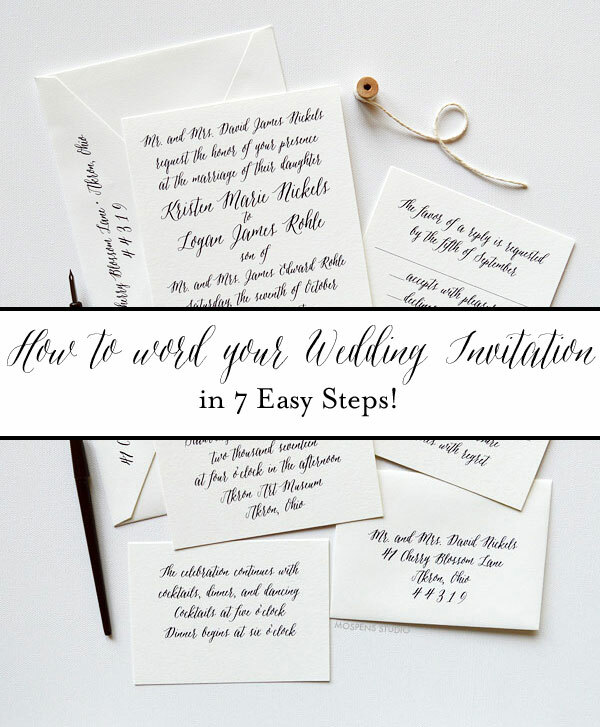 invitation kits are an affordable way to print your own invitations. At Mospens Studio, we offer high quality thick cover paper and envelopes with whimsical watercolor artworks. No need to worry about where to buy paper and envelopes. Design your own text at home, then print. My pre-designed invitation cards are ready for you to print on at home or handwrite text. Please note, digital download versions of my original art are not available. Browse our exclusive D.I.Y. 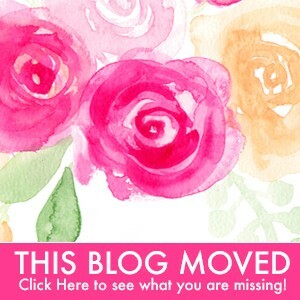 Printable Invitations today! Summer is in the air! So a fresh new Sunflower Blooms Invitation is in order. This pocket folder wedding invitation boasts watercolor sunflowers and is perfect for a late summer or fall wedding. The pocket folder invitation holds a reply card with room to add 2 more additional information cards if needed. Think itinerary details, accommodation, or map cards. Many new Pocket Folder Wedding Invitations to come! If you have a color scheme and or watercolor art of mine you love, let us know! We will custom design a folder invitation just for you.